Van G. Garrett AUTHOR / Artist - Intro. Garrett deals in plain words, strong rhythms, clear images; his passion brings them to life. ​Van G. Garrett is the winner of the 2017 Best Book of African American Poetry for his book, 49: Wings and Prayers, as announced by the Texas Association of Authors. Garrett is a poet and fiction writer. 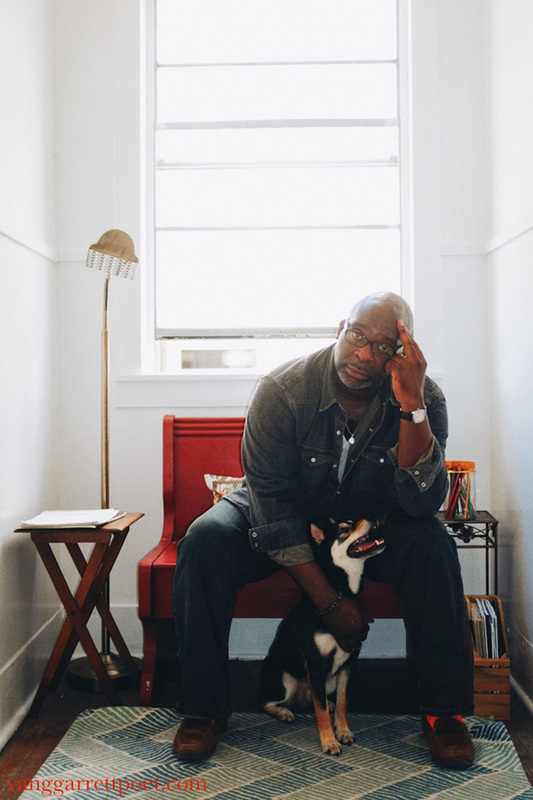 He is the author of Songs in Blue Negritude (poetry), ZURI: Selected Love Songs (poetry), The Iron Legs in the Trees (fiction), 49: Wings & Prayers (poetry), LENNOX IN TWELVE (poetry), and HOG (poetry). Additionally, Van’s poetry and art have been featured and exhibited around the world. His updates and appearances can be found at www.vanggarrettpoet.com. Van G. Garrett (AKA Fui Koshi) is an internationally celebrated artist and author. As a visual artist, Van's / Fui's photography, videos, and paintings have been on display or utilized by the Museum of Fine Arts Houston; the University of Rhode Island; Rice University; the International Film Channel (IFC); the Indie Black Film Festival; the Aurora Picture Show; HBO's The Wire: Spoken Word Battle; The Source, and Capitol Records. As a literary artist, Van has received numerous awards and fellowships, including a BID Fellowship (Italy); Dr. Kwame Nkrumah International Study Scholarship (Ghana); a Poets & Writers, Inc. Readings / Workshops Grant; an Archie D. and Bertha H. Walker Foundation Scholarship to attend a Fine Arts Work Center Fellowship; a Hurston/Wright Fellowship for poetry; two Callaloo Creative Writing Fellowships; and a Great River Arts Institute Fellowship. Additionally, he has served as a judge for the National Poetry Slam. His poetry has been published in journals and anthologies based in the United States, Africa, Switzerland, Turkey and London. Van has served as a referee for the International Journal of Asian Philosophical Association (IJAPA), and his reviews and articles have appeared in African American Review; Film and History: The Documentary Tradition (CD-ROM); and the Encyclopedia of African American History: 1896 to the Present; From the Age of Segregation to the 21st Century, Oxford University Press. His debut collection of poetry, Songs in Blue Negritude, is published by Xavier Review Press (2008).